There is widespread concern about the effect that shipping delays at Dar Es Salaam’s port could have on the production of treated timber in East Africa. Dolphin Bay understands these frustrations. In this story, we describe developments at Dar Es Salaam and advise on how best to address the challenges. The Dolphin Bay Brief previously reported on how storm damage to Durban harbour late last year was causing large-scale vessel bunching at that port, with a knock-on effect on Cape Town and Port Elizabeth harbours. This damage has been repaired, but new challenges started arising at Dar Es Salaam in recent months, when the port authorities began implementing changes to the clearance process. Industry sources have explained that the Tanzanian government is now restricting all import transit cargo from going to private inland container depots, where about 40% previously went to be cleared and unpacked. Instead, all cargo is being cleared at the port, which is causing congestion. Another issue, which was not the case previously, is that it seems to be peak season at the port and the delivery of government cargo, such as fertiliser, is getting priority over other shipments. The MSC agent Darryl De Kock, says the delays are largely due to the delayed clearing of transit cargo, ongoing rehabilitation of the port, and peak season congestion. Sources say that several vessels are now stuck outside Dar Es Salaam port, unable to dock, at any one time. Ships that should be returning to South Africa within a few days cannot do so, and the knock-on delays cannot be made up quickly. Some of these vessels were destined for other African ports so these trips, too, are being substantially delayed. There have been reports of cargo through Dar Es Salaam being delayed for about two more weeks than previously. MSC is the only shipping line that sails directly to East Africa and, as a result, has a shorter sailing time than its competitors. 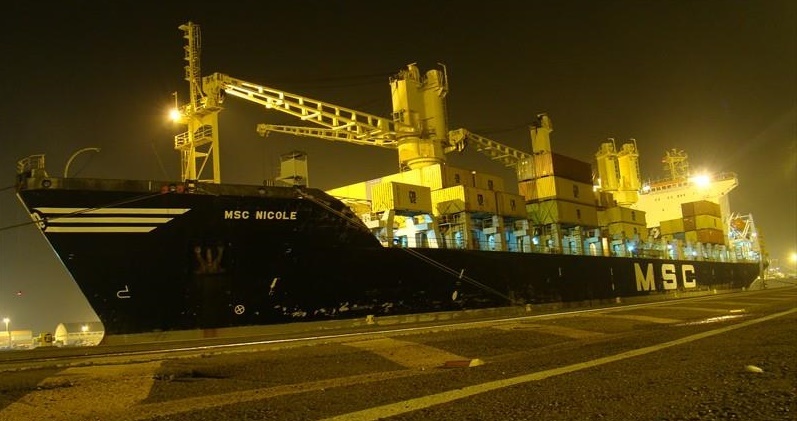 MSC recently added a fifth vessel to its fleet of four, to help address the backlog. We also understand that shipping companies have secured a new terminal at Dar Es Salaam port in their attempts to mitigate the delays. Dolphin Bay believes this is a potential solution to the problem. We are advising our clients to plan well ahead, communicate their needs to us frequently, and to cater for a worst-case scenario of a three-month delivery schedule. We understand the urgency of getting our wood preservative product to our customers on time, and when you are concerned, we are concerned too, as we care about our customers and don’t want you to experience any problems. Any delays have an impact not only on your business but also ours; if you are not producing treated timber, our products are not being consumed. It is in the interests of us all to ensure that our product arrives when it is needed. To help our clients work around the shipping delays, we have substantially increased the volumes of product under shipment in recent months. Of course, these shipments, too, could be subject to delays. In previous editions of the Dolphin Bay Brief, our Chief Operations Officer Thinus Ferreira outlined the tremendous lag that typically exists on top of the anticipated sailing times, which can constitute only about one-quarter of the total time before goods arrive. Bad weather can also cause hold-ups. Strong winds at Coega caused recent delays of an extra two to three days, and Durban harbour was recently wind-bound for two days, observed Thinus. “Please know that we are doing everything in our power to make the shipping process as efficient as possible. We are continuously engaged with the ports, and keeping our customers informed about the progress with the best information we have at hand at any given time regarding their shipments.